Paul Koch, dean of physical and biological sciences and a professor of Earth and planetary sciences, has been awarded the distinction of AAAS Fellow by the American Association for the Advancement of Science (AAAS). Election as AAAS Fellow is an honor bestowed upon AAAS members by their peers. Koch was recognized for "energetic and innovative leadership in applying stable isotope geochemistry to document and interpret environmental change through the past 65 million years of Earth history." Koch's research focuses on the ecology of vertebrate animals, both modern and extinct. He uses biogeochemistry and other tools to reconstruct ancient ecosystems and to gain insights into the ecology of living species. Koch has worked on a wide variety of animals, including Pleistocene megafauna such as mammoths and mastodons, early Cenozoic mammals, African carnivores, marine mammals, lemurs, and others. The author of more than 120 papers, he has done field work in North and South America, Asia, Africa, and Antarctica. Koch received the Charles Schuchert Award from the Paleontological Society in 1998 and is a Fellow of the Paleontological Society, the Geological Society of America, and the California Academy of Sciences. He received B.A. degrees in geological sciences and literature from the University of Rochester and an M.S. and Ph.D. in geological sciences from the University of Michigan. 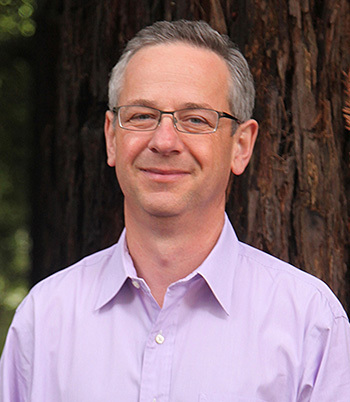 He joined the UCSC faculty in 1996. The tradition of AAAS Fellows began in 1874. This year 347 members have been awarded this honor by AAAS because of their scientifically or socially distinguished efforts to advance science or its applications. New fellows will be honored during the 2016 AAAS Annual Meeting in Washington, D.C., in February. The American Association for the Advancement of Science (AAAS) is the world's largest general scientific society and the publisher of Science and related journals. AAAS was founded in 1848 and includes 254 affiliated societies and academies of science.